I recently contacted a company for customer service regarding a piece of software that was critical to me finishing a project. After sitting on hold on the phone for about five minutes I hung up and opted for live chat. Up against a deadline, I wanted a quick resolution and that called for a live channel. I thought this message was fairly well written and responded indicating that I was open to an email. I then asked the agent what their turnaround time was on email and he said, “One day.” Ugh, one day? I specifically used a live channel because I was up against a deadline and I told him that. I asked if there was any troubleshooting we could do via live chat or over the phone. He wasn’t having any of it. My only option was to email and after voicing some displeasure, I said I’d wait for the email. He still closed the chat with, “Thank you so much for contacting us. Have a great day!” I’m not gonna lie. That one stung a bit. What happened here is that the agent switched support channels on me. I contacted customer service on the chat support channel and the agent determined that the best channel for me to get my issue resolved was email. As I mentioned earlier, this was a move from a live channel or synchronous channel to an asynchronous channel. While I wasn’t happy with this channel switch, there are some valid reasons for switching channels during a customer service interaction. Let’s discuss those. Urgency- Depending on the urgency of a matter, we might need to switch channels for a quicker resolution. You’d probably see this more when the customer contacts us via email and the process is either too involved for email or they’re on the verge of cancelling. In this case the best option might be to pick up the phone and call them. It’s certainly important for agents to understand the urgency in that moment and be empowered to select the appropriate channel for the situation. Security- Sometimes serving a customer means that we need to be able to verify PII (Personally Identifiable Information) and this is not something that should be shared over social media. An agent working social media, while able to give out general information, should move that conversation to a private messaging channel before discussing any PII. Too Technical for the Channel- Perhaps you need the customer to be able to follow a long list of troubleshooting steps, or perhaps they need to send attachments. This is best completed using email but that email could also be sent while the customer is still on the phone or chat. If you need to be able to use a co browse or screen sharing tool to see what’s on the customer’s screen, live channels are best for this. Convenience- As our customers are increasingly mobile it’s only natural for them to periodically want to change channels. Perhaps you’re on the phone with them and they have to run into a meeting and want to move the conversation to text or email. Or what if they contacted you on chat support but the conversation is going long and they need to move the conversation to a mobile device? A phone call might be better in this case. We can agree that there are viable reasons for channel switching. That being said, I have four tips to ensure that you don’t aggravate customers in the process. Respect customer preference. Wherever possible, it’s best to attempt to solve the customer’s issue in the channel they originally contacted you in. Unless you only give customers one option, they likely contacted you on their channel of choice. For example, if your website says that you offer customer support on Twitter but every tweet instructs customers to call or email support, perhaps you shouldn’t say that you offer support on Twitter. Always make it clear why you’re switching channels, especially when going from synchronous to asynchronous. 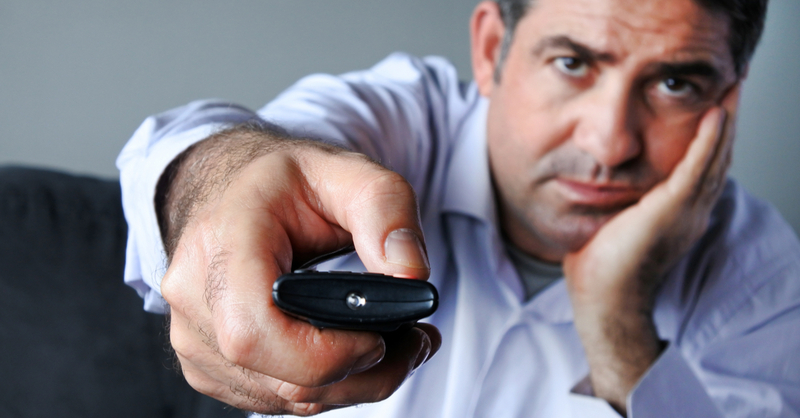 Knowing that it can be aggravating for customers to switch channels, always make it clear why you’re switching. If the customer contacted you on Facebook your agents might say, “I’m going to have to verify some information so I can discuss your account with you. Let’s move this conversation to a private message.” As much as possible, communicate to the customer that by switching channels you’ll actually be able to provide them with better customer service. Empower agents to make the switch as effortless as possible. If moving the conversation from chat to email, agents should keep the customer on the chat and give them their ticket number before disconnecting. If moving them from social media to a phone conversation, either proactively call the customer or queue them up in your callback widget so they don’t have to pick up the phone and dial. Follow up should be a part of agent wrap time or after call work. This is that amount of time after the interaction completes before the agent begins a new customer interaction. If your team is in the habit of saving all of their follow up work to the very end of their shift, stop it! That’s how stuff gets lost or forgotten. If a follow up email or a call back was promised, give your agents ample time to complete it during their wrap time. I know I started this post off on a sour note. Back to my original gripe, I checked this morning and still hadn’t received an email from support. After contacting the company again via chat, we found that I spelled my email address incorrectly. Oops. Had the representative kept me on the chat and confirmed that I received his email, this delay may have been prevented. The good news is that the guy I worked with this morning sorted that out, we’ve exchanged a few emails since, and have made progress toward resolving my issue. Also, they’re thankfully over delivering with a response time that’s more like 24 minutes, not 24 hours.